For the past few years, I’ve been in search of the ultimate CCW, and I’ve come across dozens of great contenders. While some of my favorites include the Glock 26, S&W M&P 40, Taurus Millenium G2 (PT111), and the Beretta Nano, I definitely had to reconsider things once I got my hands on the Springfield XD. However, I was disappointed when I learned that the XD isn’t a true Springfield weapon; this semi-automatic pistol is a product of the Croatian HS Produkt company which Springfield Armory rebrands under their name for sale in America. Although this isn’t a big deal in the grand scheme of things, I had hoped to take at least a little bit of pride in the nearly 20-year old handgun which is used by several armed forces across the globe. 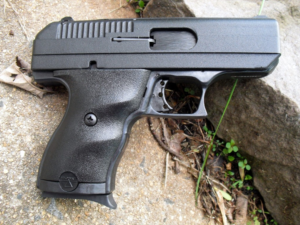 Nevertheless, the XD (or X-treme Duty) is an award-winning CCW and has been ever since its debut in 1999. It’s time that we begin our up close and personal look at this classic “Springfield” pistol. 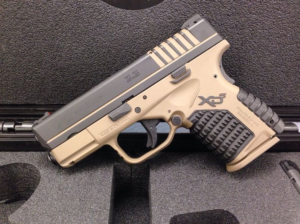 While some guns require just a first glance to see how impressive they really are, the XD requires you to hold it. In fact, that’s what truly separates this semi-auto from most other CCWs: its ergonomics. Nearly every facet of the XD was crafted to create the most comfortable shooting experience as possible, and they did a superb job. As somebody with big hands, I always worry about how CCWs will feel in my hands, but the full size model fit like a charm. That being said, I could only properly handle the sub-compact version when I used an extended mag. Continuing with the XD’s durable and rugged polymer build, Springfield hooked up the steel slide with an ultra-protective Melonite finish and a fully supported ramp. Additionally, they even threw in tough steel inserts into their polymer frame. Now while these features may seem standard, it’s what comes next that gives it its added durability. The XD’s metal components are first given a regular heat treatment and are then finished with a special nitrogen infusing process called Tenifer Plus+ which penetrates the metal and effectively creates a secure barrier against wear and tear. Moving on, I would be remiss if I didn’t extol the numerous safety features on Springfield’s XD. 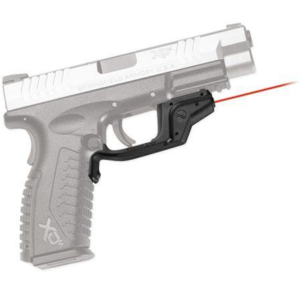 Starting with the most basic, the XD features easy to use striker status and loaded chamber indicators which clearly specify whether the pistol is cocked and loaded. 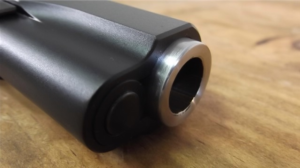 Furthermore, Springfield utilizes the trio of a firing pin block, grip safety, and the Ultra Safety Assurance (USA) Action Trigger System to ensure that there will never be any accidental discharges. Now I don’t really want to get into the sight system of the XD because after further consideration, I can’t see why anyone would want an XD when they could get the XD Mod.2. This new and improved XD model comes with several key upgrades, including a fiber optic front sight and low profile extended rear sight. While still a standard sight system, the Mod.2’s sights are way easier to use and help the shooter achieve faster target acquisition. Plus, on the updated XD, there is an even more ergonomic grip system which will blow your mind. This might be the most advanced and detailed grip on a CCW I’ve ever seen. With three unique textures, anti-slip surfaces, and supreme comfort, the Grip Zone on the Mod.2 is worth checking out! Another thing to consider is the weight of the XD; even though its 26 oz. build is about average, I prefer to carry lighter CCWs like the Kahr CM40, Beretta Nano, or some of the Smith & Wesson M&P models. First and foremost, the XD can handle a lot of abuse and still perform at close to peak performance. I actually found it pretty interesting that Springfield spent way more time marketing this gun for its ergonomics when its durability is so impressive. In fact, its ability to withstand torture is almost as good as a Hi-Point! The highlight of my time at the range with the XD was definitely its handling and ergonomics. I really enjoyed firing this gun and could easily see myself carrying it regularly. Nevertheless, there is nothing so exceptional about its accuracy. Also, if you go for the sub-compact model, get yourself an extended mag – it’ll do wonders with your handling. Speaking of magazines, Springfield equipped these CCWs with standard stainless steel mags that are pretty durable and reliable. While the sub-compact XD ships with one 9-round mag, the full size comes with two 12-round mags. 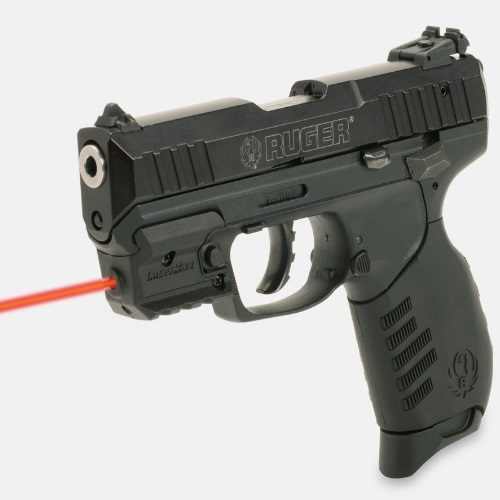 And like I said before, the 12-round X-Tension extended mag is a must for the sub-compact model. The aftermarket options for the XD are pretty low, but there are still a few things to consider. First, I recommend looking into buying the Springfield Essential Kit which comes with comes with a lockable case, flush fitting magazine, cable lock, and a bore brush. Additionally, Springfield gave the XD an integrated accessory rail forward of the trigger guard. That being said, consider attaching Crimson Trace’s LG-448 Laserguard; this laser sight may be expensive, but it’s worth every penny. If you’re in the market for a tactical light, Amazon has a great deal on the LaserTac rechargeable subcompact pistol flashlight. I’ve heard about some folks trading in their Glock 19s for the Springfield XD and I was a little surprised. In terms of their sizes, these two guns are nearly identical in length and weight. 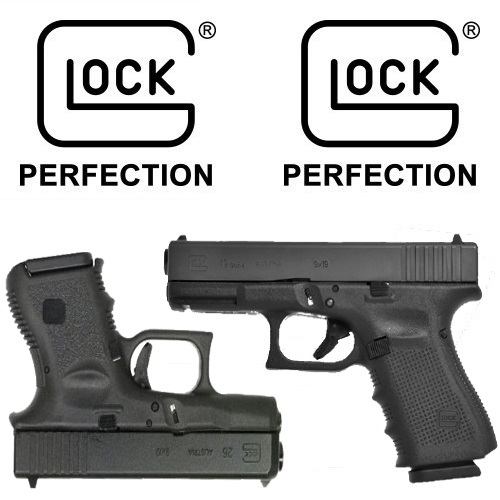 The biggest difference on paper is the bigger capacity and added inch on the twist of the Glock. Also, since both SA and Glock triggers are so well-respected, you really have to go with what you’re familiar with. The Glock’s trigger has a much easier pull which some users might find to be too light. Overall, I prefer the XD (especially the Mod.2) but the Glock is still an undoubtedly great firearm. 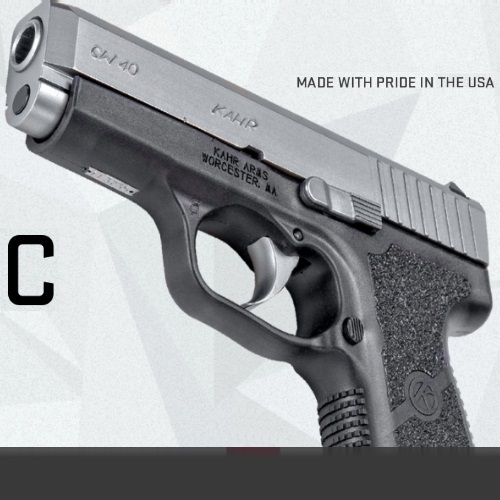 Besides for manufacturing two different sized models, Springfield also offers their XD CCW in three different calibers. I’ve been shooting .40 S&W for years, so I prefer that one, but they also offer 9mm and .45 ACP. For more info about these rounds check out our definitive guides to these legendary cartridges. Although the XD was a revolutionary weapon when it was released, it has slowly become less and less relevant. It is still a good gun in its own right, but once Springfield released updated versions and variants, it has taken a back seat in the market. Nevertheless, I had a great time with the XD and I recommend you give it a try for yourself. You mentioned that you don’t know why anyone would want a XD when they could get a XD Mod 2. I have a reason. I’ve had my XD for many years and don’t see the difference between it and the Mod 2 worth the cost to upgrade. With that said if I didn’t have my XD I would probably go the the Mod 2. I have the XD sub. 13 and a 16 round mag in a small gun is fantastic. I think it’s 1/4 inch wider than a single stack. That shouldn’t be a big deal to most anyone as far as carry comfort and concealing it. This gun is very accurate and easy to shoot. I’ve borrowed it to many people taking their range test for permit to carry. Often these have been people unfamiliar with shooting a pistol. After shooting it many people want to know more about it. Hi Frank, great points – Can’t argue with you there. Thanks for sharing!